Kit of tools for assembly and disassembly of o-rings and seals. Product recommended by manufacturer of sealing rings. Useful of great help for technicians, assemblers or repairers of hydraulic equipments, pneumatic or products micromechanical pressure. Irreplaceable tool and practice avoiding the use of utensils to be inadequate or makeshift. 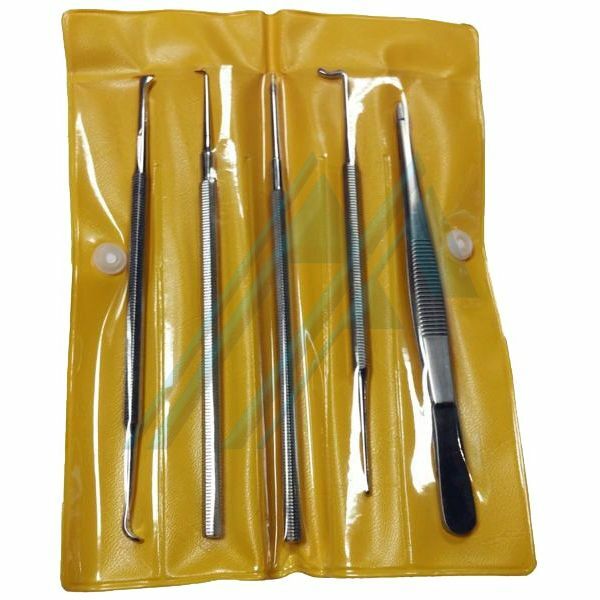 - Useful piercing: Can be used to extract o-rings from cavities or recesses difficult when the o-ring may be destroyed and removed. - Useful application angle: Can be used to extract o-rings from cavities or recesses difficult to pry from the bottom of the cavity. - Useful with application of flat face: This tool can be used to remove or install o-rings. - Useful for pull / push: The particular shape of its tip allows many uses: can hook up, drop, push, or pull together the o-rings, or pressed into the cavity of your seat. - Clamp: Ideal for positioning the o-ring or exraerla from difficult positions. Can also be used to hold the o-ring and immersed in lubricant without touching it with the hand. - Useful flat tip: Can be used to install or remove o-rings near the surface. It can also be used as a useful support in combination with other tires.